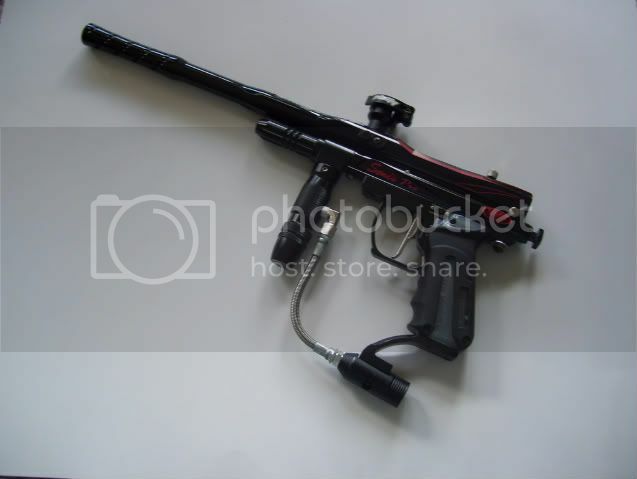 Paintball 101: How can I play for less? Hey guys, I've put together some tips for spending less money on playing paintball. Some tips are obvious, some are not. Check out the article if you're interested. Paintball 101: How can I play for less? Thanks, and if you guys have any comments or suggestions for other tips, please let me know on here! Re: Paintball 101: How can I play for less? Paintball, as we all know, is not exactly a cheap hobby. And with everyone strapped for cash because of tough economic times, how can we manage to play our sport without breaking the bank? Following a few of these steps will definitely save you some dough and keep you playing the game. So let me break it down for ya’. Shoot less paint: For most paintballers, this is the main expense. Paintballs cost anywhere from $28.00/case for the lowest of the low, to around $70.00/case for the most expensive. Double that if you’re buying from a “field paint only” complex. Players will have to change how they play the game if they want to save money. Flip that electro marker to semi-fire only, break out the pump marker, or just pick and choose your shots. Playing on your own field? Make rules that limit players to a set amount of paint per game. Each player can be allowed one hopper-full, for instance. Or take it to the extreme and go even lower. Ever play a game where each player only has 20 rounds? That definitely mixes things up a bit. Make some friends: So you’ll never be lonely. Oh, and because sharing is caring. Not all members of your group need to buy every extraneous piece of equipment, after all. Make a list of the items that each person in your group has and is responsible for bringing. After a game, for instance, get the guys together and clean your gear. Need to take apart you marker? Steve has the allen keys. Goggles smeared? Tim’s got the Windex. Tank leaking? Mike has a pack of o-rings. Problem solved. Play closer to home: One of the most over-looked expenses, for any activity, is travel time. Playing closer to home will lower those gas prices for you and your friends. After all, the point is to play, not sit in a car for hours. Feeling ambitious? Set up your own field and avoid admission costs as well. Shop around: Ever make a purchase and then see a better deal at a different shop? Ever find out “Half-price paint day” was the next weekend? It’s not just annoying, and it adds up too. Make sure to check out multiple dealers and do your research before you buy. Avoid superfluous purchases: Thinking about this years cool new paintball jersey, or digi-camo boots that match the rest of your ensemble? How about the newest loader model, or circuit board upgrade? Marker body kit? Paint grenades? Vest patches? Well whatever it is, chances are, you don’t need it to play the game. Think twice, or for some of you dolts out there, three times before you buy anything. More of our purchases are less important than we might think. Take care of your equipment: This can’t be said enough. If it doesn’t break, you won’t have to fix or replace it! Always clean and maintain your gear. Mail in that warranty card: Many pieces of paintball equipment we buy come with warranties of 90 days, 1 year, 3 years, and even lifetime guaranties. Just remember to mail in the warranty card or register online in time, or you might end up buying another one.